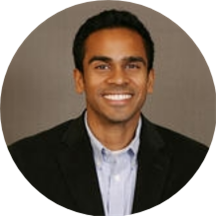 Kurian Mathew is a dentist, cosmetic dentist, and dental pain specialist serving the community of Lockport, IL. Dr. Mathew attended Marquette University, where he received his dental degree. Dr. Mathew is a part of Porter Dental Center. He welcomes patients and families of all ages from babies to seniors. During his consultations, he explains patients’ conditions and helps them choose an appropriate treatment plan. Awesome. The entire staff is efficient, friendly, and very professional. They make going to the dentist an enjoyable experience. This was one of the best dentist I have seen in a long time. I expressed my concerns with doctor and was very helpful. thank-you again!!!! Very thorough exam and made me feel comfortable.